When it comes to our own house, we have lot of dreams to make true. Most of us are not ready to begin such a thing as it is not something which cannot be done so easily. But you can do some simple changes which makes your house more beautiful than what it looks now. Below are the Seven Tips for Beautiful Interior, which can help you in bringing up a gorgeous interior. Nowadays we go economical and have to adjust with small house with medium square feet. Try these changes to make your room look bigger than usual. The changes we make in the paint color and even the bed sheet can provide some changes to the size of the room. Flooring can be given a darker color and light color painting to the walls will make the room looks spacious than usual. Painting have a good hand in making your room look more spacious. When selecting the painting look for continuity shade which gives you a broad look. 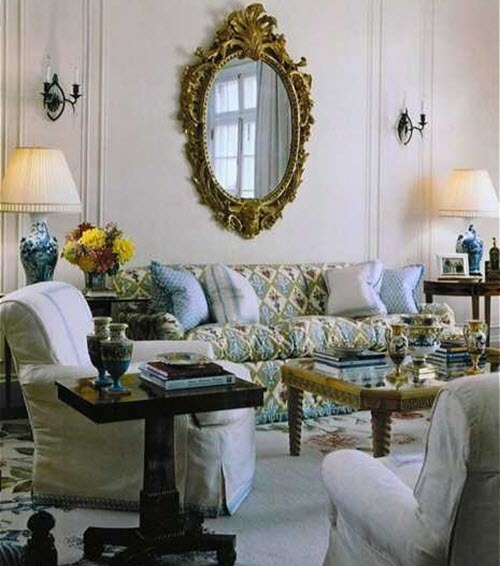 Paintings or photos which are in light green or light blue color will help more in this cases. Check out how shades can influence your lifestyle. While placing the rack in any of the room which comes above your head, it is always good to make it in the same wall where the door comes. When others enters inside the room, they won’t notice it quickly. These racks can be filled with kid’s old books and also their toys. You can also make it as an open shelf and decorate the toys inside than just dumping it inside. Furniture plays an important role here. 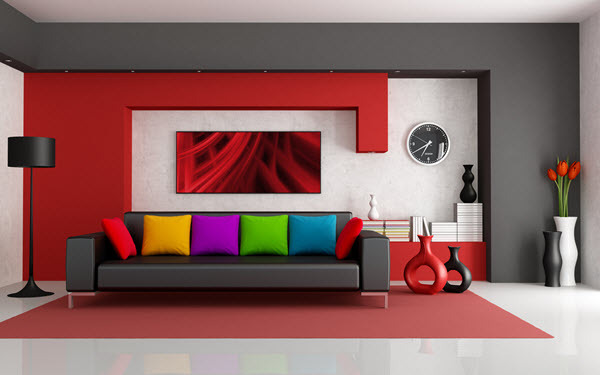 Get the furniture which matches with the color of the wall than selecting a dark color. Dark color furniture will never suits a small room. You can add a wind chime or hanging lamp to your dining room. The design of the carpet and curtain has to be considered the most. 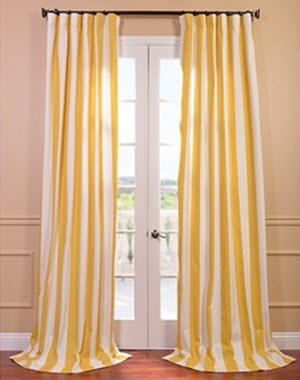 Select long stripes for curtains with two colors will look good. You can select any of the color combination. Yellow and White is one among them. You can do the same with your furnishings and cushions. 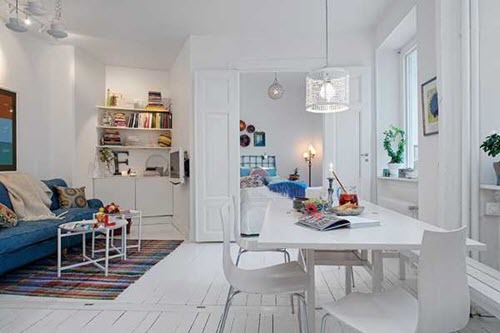 Give a light color to the wall which is opposite to the door. Avoid paintings or photos to that wall. You can also give a long stripes designs to the wall if needed. Racks looks good when it touch the ceilings. The room looks bigger and spacious. Check out these Seven Tips for Beautiful Interior and decorate your dream house.